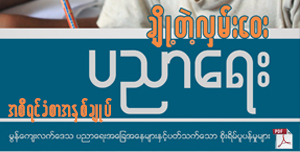 WCRP: The Prisons Department of the Myanmar Ministry of Home Affairs confiscated farmlandfrom three villages in Bar Ann Township, Karen State – Hlarka Myint village, Latkanar village, and Hla Ka Daung village tract.The farmers are calling on the government to return the land to its owners or else pay compensation for the land. The Prisons Department’s confiscationshappened between 1988 and 2014. The farmland, totaling around 800 acres, had belonged to 84 farmers. The department has not yet done anythingwith the confiscated land, and so the 84 farmers are calling on the department to give them permission to work on their land.If the department will not allow them to work on their lands, they request that the department give them compensation for their lands. “Each year they have different reasonsfor confiscating our land. 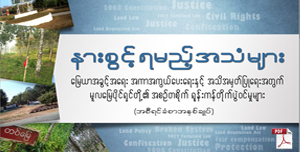 I think that the Myanmar Prisons Department confiscated the land because they wanted to extend their prisons. They didn’t notify us in advance.It was only when we went to our farms that we saw they had put up signs on our lands. They didn’t even give us the permission to work on our land after they confiscated it”, said U Saw Khin Hla Myine, a victim of the land confiscation. Farmers from the threevillages described the livelihood difficulties affecting those whose land was confiscated by the previous government. Since they have no land to work, the farmers’ families have faced many challenges to their livelihoods, and many have had difficulties paying for their children’s education. Moreover, the department did not do anything with the land, but they also do not give the land back to the owners. Some landhas become vacant. 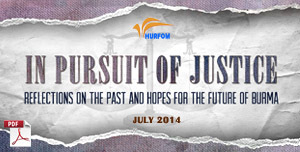 These confiscations are a misuse of power by the authorities from the Prisons Department. The authoritiesalso prohibited the farmers from reporting the land confiscations to the village administrator. 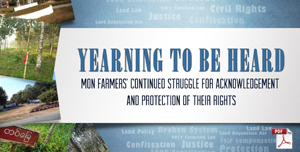 “There are 24 farmers who have Form 7 ownership rights for their land. 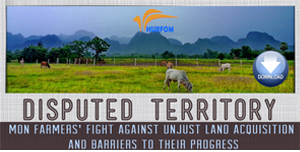 In 2016 the Myanmar Prisons department gave 16 of them a temporary permit to work on their land,” said U Tar Own Hlaing, a victim who received a temporary work permit for his land. The 16 farmers who got permits to work on their land owned roughly 141.64 acres of land, but the authorities from the Prisons Department only allowed them to work 91 acres of land with a temporary permit. The Department also prohibited the farmers from planting crops on some of those 91 acres. On February 15th, the 16 farmers submitted a report about the land to the Review Committee on Confiscated Farmlands and Other Lands. With regard to the complaint submitted, an officer from Lat Ka Nar village prison and a representative of the Township Land Records Department met with the farmers on April 21st, 2017.They gave the farmerstemporary permission to work the land. In 2013, the Township Land Management Team gave farmers permission to work 71.07 acres of land out of the nearly 800 acres previously confiscated by the prisons department. Unfortunately, according to an authority from the prisons department, even though the farmers of those lands have Form 7,because the land is within 400 yards ofthe Security area of the prison, therefore they don’t allow the farmers to use the land, and they couldn’t give back the remaining confiscated farmlands as a withdraw land to the farmers. 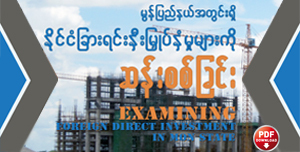 To receive the farmland back, the farmers have sent a request letter to the President, the Review Committee on Confiscated Farmlands and Other Lands and Karen State Government office for their land. 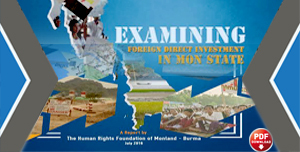 The farmers said they have sent seven letters this year,including to the Karen State Land InvestigationCommittee on March 23rd, the Chairman of the Review Committee on Confiscated Farmlands and Other Lands on May 10th,and the MP from the Committee of Agriculture,but they have heard nothing from them so far. A Member of Parliament has said that they will do a field survey, however they haven’t arrived yet. If the MP comes to the village, the farmers all want to meet with the MP. The remainder of the confiscated farmland is about 700 acres.Victims asked the department for permission to growplants on the lands which the department is not using. “This rainy season, we planted crops on the land which we had worked in previous years. This year, however, the prisoners came and dug up our plants and planted their own. All our plants were destroyed”,said U Shwe Tun, from Lat Ka Nar village.